I began thinking about food blogging in 2008. I put it off until 2012, and then, posted only sporadically for a few years. It wasn’t until the middle of this year, 2014!, that I really started to blog. I was blocked, at first, by the daunting task of organizing my thoughts on food, of figuring out why I feed my family the way I do and where my inspiration comes from. You see… food is fickle. Its role in my life is ever changing. As a kid, it was a way for my parents to exert some control over my life. “You may not get up from this dinner table until you finish your peas,” and later, in high school, telling my mother I didn’t like her food (untrue) was my way of regaining that control. Later, I went to culinary school because I wanted food to play a larger role in my life. I worked in restaurants that made special occasion dishes, exploring and pushing the boundaries of a different audience every night. I loved that I helped provide this experience, that we cooks could simultaneously impress and please so many people. I gave up restaurant life in 2008 to raise a family but what finally and firmly drew me back to the idea of blogging in 2012 was the realization that blogging offered me another opportunity for food to play a larger role, by reconnecting with a virtual audience out of my home kitchen. As a restaurant cook, I thought about food in terms of constant innovation, of fusing ingredients and flavors in unique ways and of constantly being ahead of the trends. I still like to be adventurous but nowadays I mostly try to slow down and think like a mom. At this moment in time, food is a grounding force in a tumultuous time. September brings uncertainty for my kids – about new roles at school as relationships with teachers and friends evolve, and about expanded roles in in our family unit as we plan for the arrival of another member in just a few short weeks. Right now, my inspiration is pure comfort, to draw everyone back to the table after a long and crazy summer. As the wind wiggles unsteady leaves from tired trees and the hum of the cicada is replaced by the steady drumbeat of the local high school marching band, I’m reminded that it’s time to turn on the oven and tuck into a dish that’s warm and satisfying. For weeknights when you need to relax and reassemble, I offer you a slice of quiche. 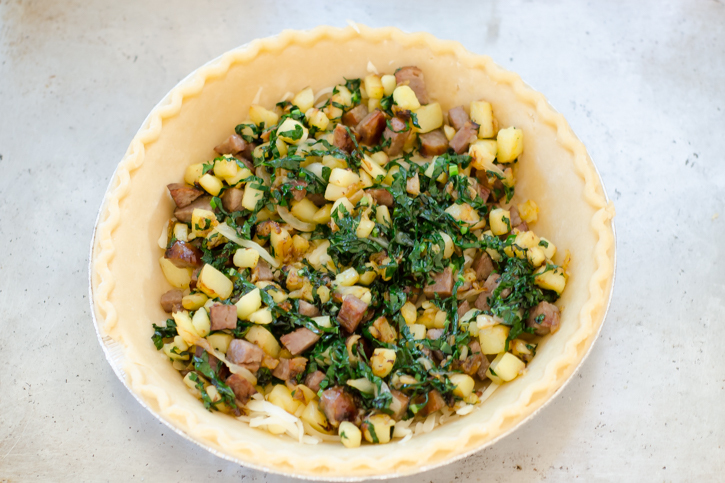 This hearty autumn pie is filled with creamy egg custard, sausage, spinach, potatoes, and cheddar cheese. It’s quick to assemble, whether you use a frozen deep-dish crust or make your own dough, and it’s a great way to use up leftovers. While it bakes, you can assemble a quick salad and move onto more important jobs, like overseeing homework assignments. I like to make up to four at a time, and pack the leftovers for school lunches, or freeze one or two for weeknight emergencies, when you get home late and have nothing to eat. 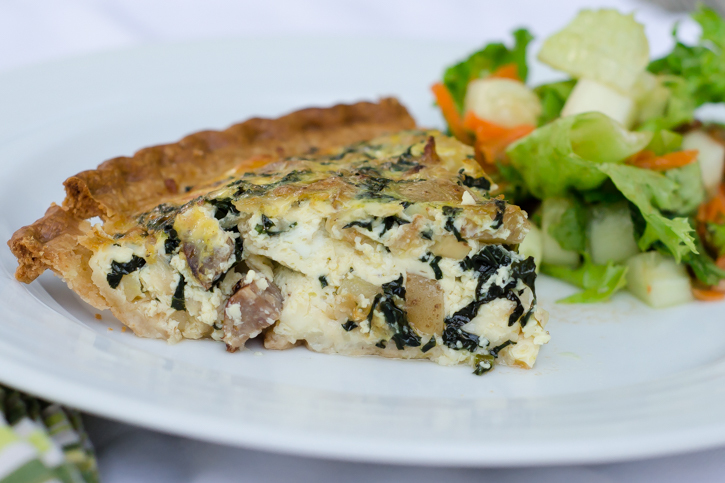 Quiche is the utility player of the food world: It’s great for lunch, dinner, brunch, or reheated and packed for a school lunch or afternoon snack. Our family particularly enjoys this combination of sausage, cheese, and vegetables, but feel free to experiment with whatever you have in the refrigerator, using the general ratio of 1 1/2 cups of whole milk or cream : 3 large eggs, and about 1 cup of grated cheese, and 2 to 3 cups of whatever other ingredients you have on hand (to fill a 9-inch deep dish quiche). 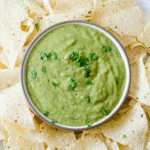 It’s a great opportunity to sneak in vegetables like zucchini and spinach, which, for us, are tough sells on their own. Whether you buy specific ingredients or make it with leftovers, try new ingredients or stick with ham and cheese, there’s a quiche out there to please just about everyone. First, make the crust by pouring the flour, sugar, and salt into the bowl of a food processor and pulsing a few times to combine. Add the butter, breaking apart the pieces before dropping them into the flour mixture. Pulse about fifteen to twenty times, until it begins to form a coarse meal. 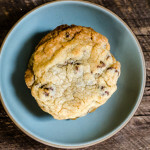 Don’t overmix – you still want to see large chunks of butter in the mix. With the machine running, drizzle in about two tablespoons of the ice water into the processor (more if necessary), so the dough just barely comes together. Dump the mixture out onto a clean work surface and assemble it into a ball. Flatten it into a disc and wrap tightly in plastic. 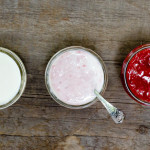 Refrigerate for one to four hours, and up to two days. The dough can also be frozen for up to a month. Thaw overnight in the refrigerator. When ready to use, remove from the refrigerator and roll the dough into a 12-inch circle, about 1/8-inch thick. Drape the dough over the top of the pie dish and press gently into the bottom and sides of the dish. Pleat the overhang with your fingers and refrigerate while you assemble the rest of the ingredients. Preheat the oven to 350 degrees, and position a rack in the middle. In a 10-inch pan over medium heat, add the oil and sausage, breaking up the links or patties with a wooden spoon as you stir. Once the sausage has begun to brown, add the onions, and cook, stirring occasionally until the onions begin to soften, about five minutes. 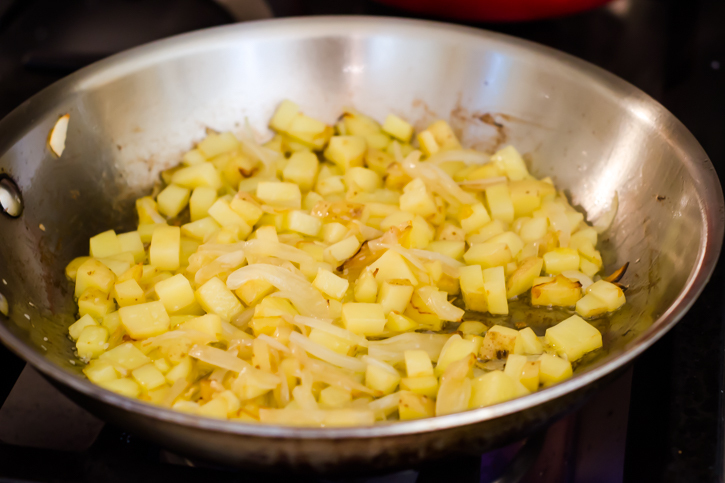 Add the diced potatoes, salt, and pepper, and sauté, stirring occasionally, until the potatoes are soft, about 5 to 7 minutes more. Add the baby spinach or other greens and cook two minutes, until softened. Remove the mixture from the heat and set aside. In a small mixing bowl, combine the milk, eggs, salt, pepper and nutmeg and whisk until fully incorporated. 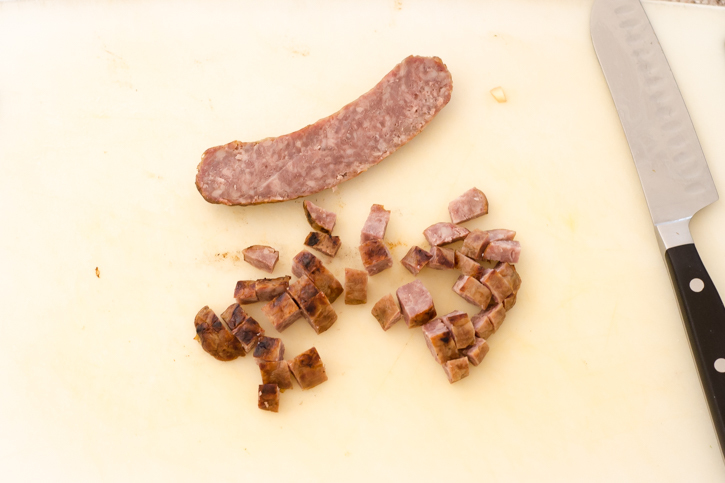 Remove the piecrust from the freezer and add the grated cheese and sausage mixture, tossing gently to combine. Add the egg mixture and stir gently so the filling is incorporated with the eggs. Place the quiche on a baking sheet and slide into the oven. 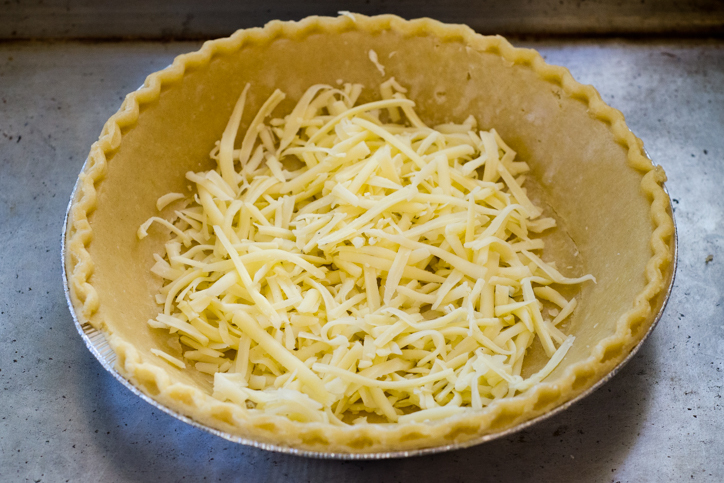 Bake for about 45 minutes, or until the quiche wobbles slightly in the middle, the crust is a deep golden brown, and the filling has begun to brown. Remove from the oven and let sit 10 minutes before serving. 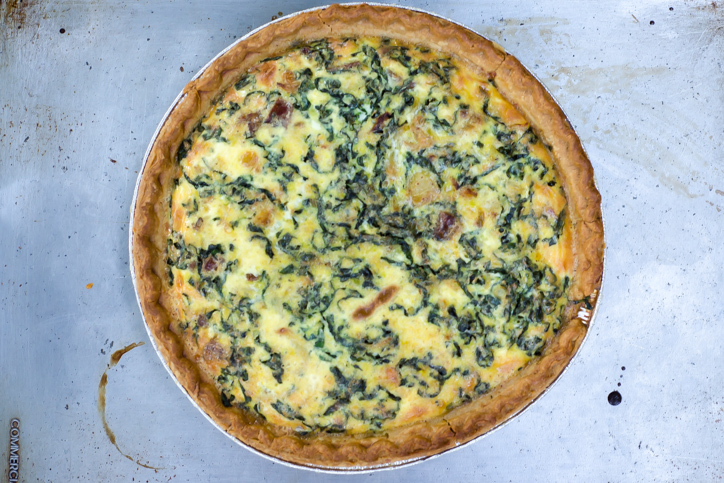 The quiche may also be cooled to room temperature and refrigerated – it will still taste great the second or third day after cooking. Reheat, covered, at 350 degrees for 10 to 15 minutes, until warmed through. This quiche sounds like real comfort food. Made this tonight, my mom foisted four frozen, formed pie crusts on me and i needed a dinner idea (working on cleaning out the freezer). I subbed bacon for the sausage and added some cubed fresh zucchini to the end of the saute. Delicious! I made this yesterday and substituted turkey breakfast sausage (because our family doesn’t eat pork or beef) and it turned out great. I’ve always used the shredded potatoes instead of the gold one’s but I felt the gold potatoes were much better. Thanks so much for sharing this! This is how my mother always made quiche. The potatoes take the edge off when you wake up before the sunrises for a long day of work/school/life. Two differences though: I make a quick oil crust and mix in nutmeg and cumin instead of taking the time to make a butter crust. I also add cumin and parsley to the filling. Thanks for sharing a lovely recipe!